On the lookout for endangered cranes! We’re here this early November dawn on the Platte River in Central Nebraska. Out of the east, in the first light, flying low above the river’s braided channels comes a small aircraft. [Sound of Cessna 172 four-seater airplane] You could call it the Platte River Crane Plane. The pilot and two observers are searching for Whooping Cranes. 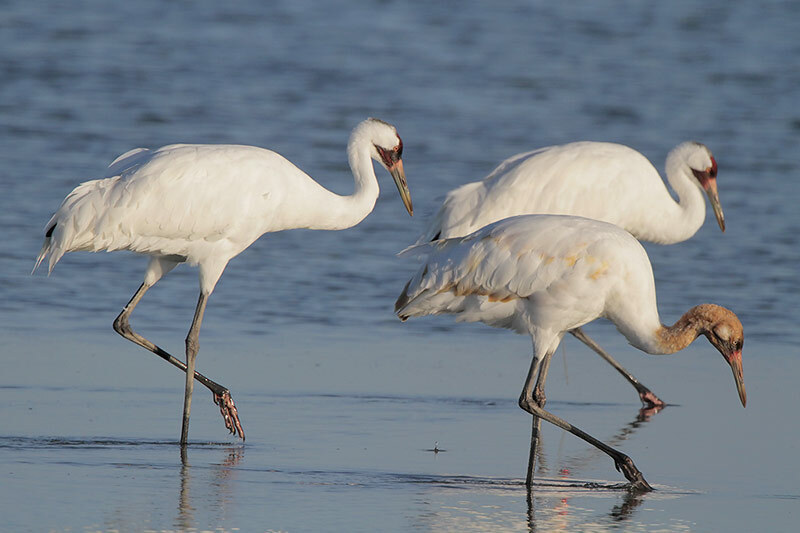 With a population of just 270*, these birds are among the most endangered in North America. 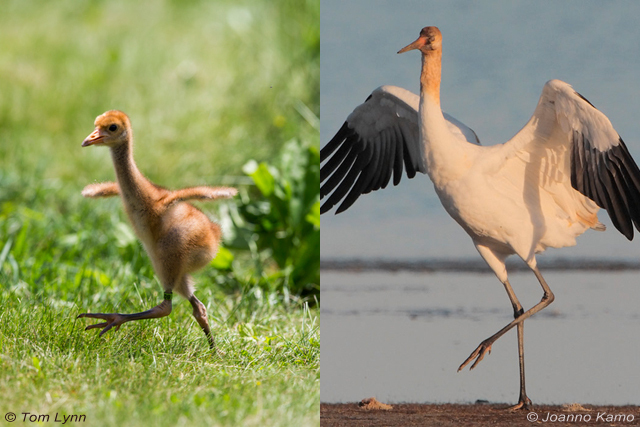 Breeding in Wood Buffalo National Park in Canada, the cranes fly south to winter along the coast of Texas. In Autumn they pass through the Platte River Valley, typically during late October and early November. 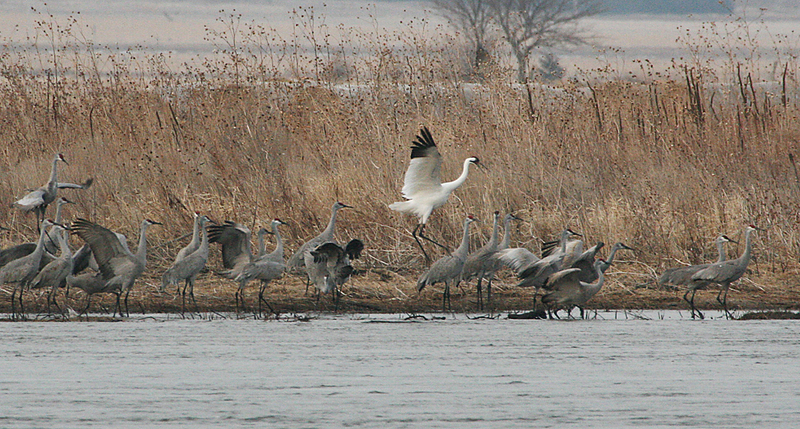 If cranes are spotted, a ground crew hurries to their location to monitor the birds’ behavior and document their choice of habitat. This careful observation is made possible by a precedent-setting court ruling** giving endangered wildlife and their habitat legal standing in the use of the Platte River’s water. Two planes fly every day between early October and early November [dividing the 90 miles of river between Chapman and Lexington, Nebraska. ***] They fly at first light because the cranes, to protect themselves from predators, stand in the river’s shallow waters at night. One could do worse than to be, at dawn, an observer of cranes. Bird sounds provided by The Macaulay Library of Natural Sounds at the Cornell Lab of Ornithology, Ithaca, New York. 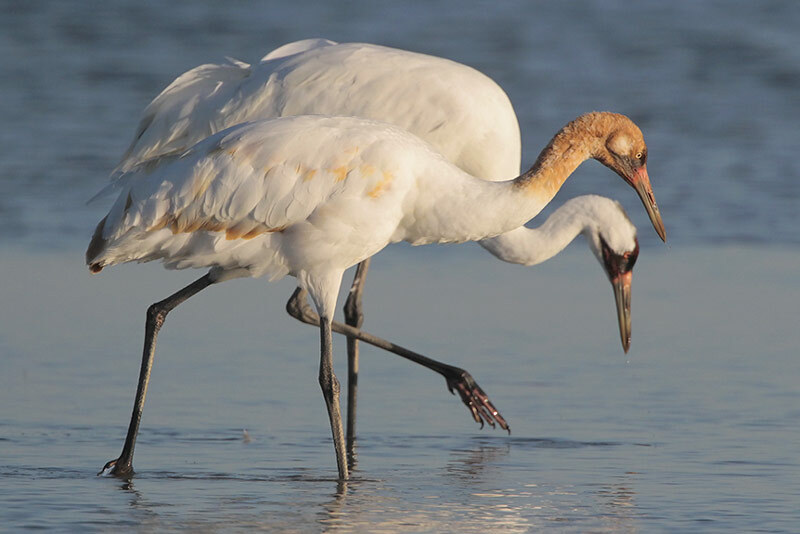 Bugling call of Whooping Crane [WHCRguard] recorded by J. Huxmann. Wind in reeds recorded by Gordon Hempton of QuietPlanet.com. Lapping of water recorded by C. Peterson. ** National Wildlife Federation and the State of Nebraska vs. Missouri Basin Power Cooperative concerning the proposed Gray Rocks Dam, December 1978. The decision gives endangered wildlife critical habitat designation in the central Platte River Basin. *** Crane monitoring flights are funded by the Platte River Recovery Implementation Program, which is headquartered in Kearney, Nebraska. Flights are conducted by Assessment Impact Monitoring Environmental Consultants, Gibbon, Nebraska. Flights 2013 - from October 9th to November 10th. 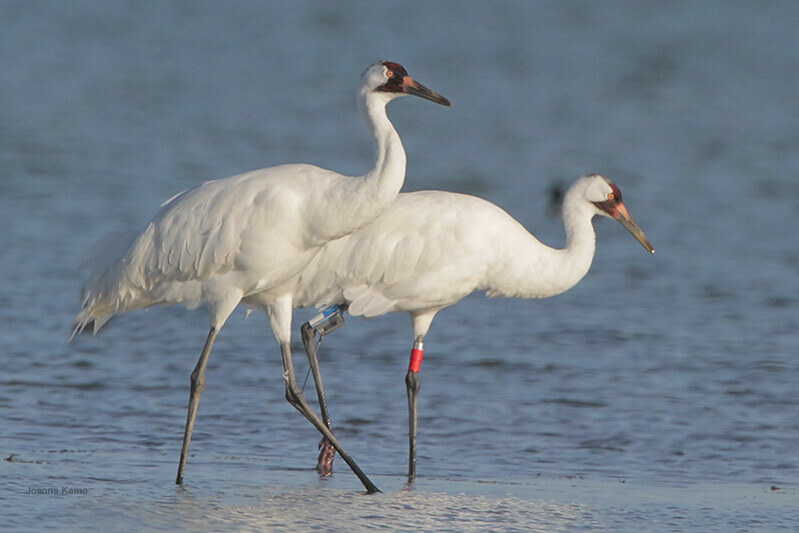 The Crane Trust is making a difference!